Trimz Shot is a slimming supplement that helps you achieve your dream body. 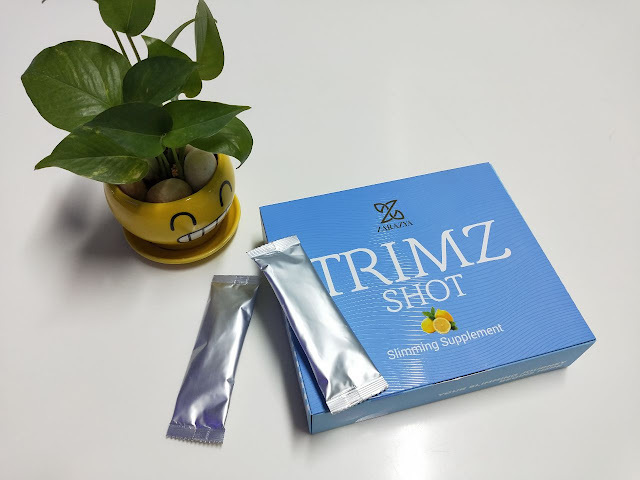 The Trimz Shot comes with aqua, lemon extract, date concentrated, pomegranate, prunes domestic, ficus cafica, guarana extract, garcenia combogia, l-cysteine, vitamin C, garcinia mangostine, white kidney, green coffee bean extract, habatussauda and also hoodia. 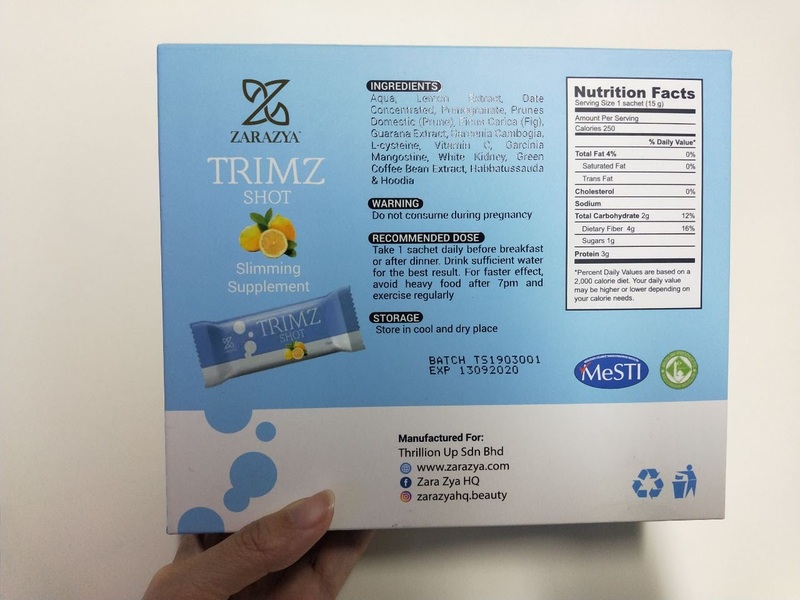 Dont worry, Trimz Shot used high grade and quality herbs and factory with GMP status too. Zara Zya is a Malaysia Actress which also quite well known and she actually aged 3x years old but for me, she look only in mid 20's. Moreover, Trimz Shot is owned by Zara Zya herself. In addition, anyone that purchase Trimz Shot will have the opportunity to be coach by Zara Zya in 10 video series in 10days. For more info, do check it out using this hashtag #IFwithZaraZya. 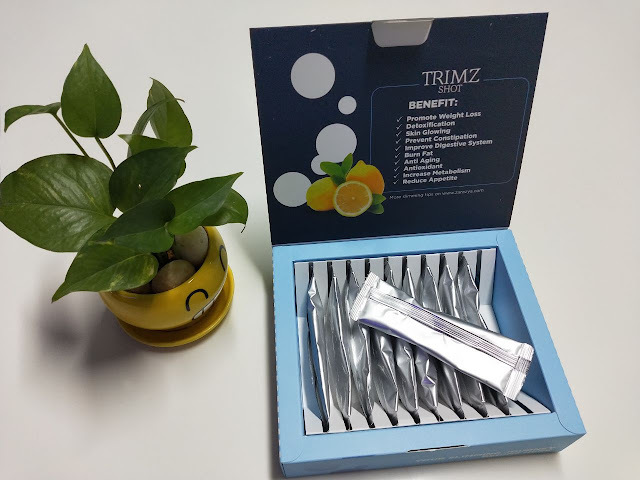 Trimz Shot is selling at RM59 with 10 sachets for 10 days consumption. Postage only RM 8 for Peninsular Malaysia while RM 12 for Sabah/Sarawak. Good news, Trimz Shot is undergoing promotion where you can get 3 boxes for only RM 155. For purchase do visit www.zarazya.com.